At the Department of Instructional Technology at the University of Twente, we are developing software that allows students in primary and secundary education to create computer models to understand the world. Today’s living, working and learning is increasingly characterised by complex systems in various domains, such as physics, sociology, ecology, economics etc. Models are used in many fields such as in physics to understand atomic processes, biology to understand the dynamics of populations and in economy, to predict the developments in markets. For instance, when you are watching the weather forecast, everything that is told comes from running a computational model of the weather system, which is fed with current weather data and computes how the weather will develop. Bringing modelling within the reach of young learners is the aim of our group. In order to make this possible we develop software in which models are specified as drawings, rather than as computer code or mathematical formulas. Our challenge lies in interpreting students’ drawings and create models out of them that can be simulated. On this blog we will keep you posted of our progress and share our software with you. In this blog post you can find our research and mission summarized in eight tweets. If your language is Dutch, you can find the Dutch version here. And if you are here, do not forget to play with our software. Wouter van Joolingen, Lars Bollen, Frank Leenaars. Dear Jane, if you start the software, you can get a basic overview by running the tutorial from the “Examples” menu. Additionally, each icon (i.e. behavior) comes with its own description, which can be seen when dragging the icon into the drawing space and clicking it. Hope that helps, all the best! Dear Jay, one solution would be to go to your computer’s Control Panel (assuming a Windows OS), -> Java -> Control Panel -> chose “Medium”. However, this would also allow other, dubious Java apps to be executed. As an alternative, you can download http://modeldrawing.eu/simsketch/simsketch.jar and start it via doubleclick. All the best! Thanks for these effective model drawing softwares. It’s ok for students from middle school to university degree. 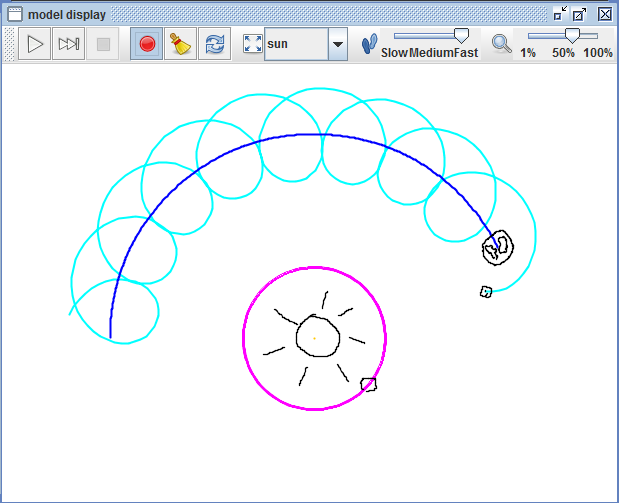 Most of topics from science education curriculum is available to be taught by using these model drawing softwares. These also can be used to diagnose students’ possible misconceptions about the topics by letting them to draw their mental models. Thanks again for this website. An excellent article and well written !! Gives the in and out of a model drawing softwares ! !